Mathew 17:1&2 And after six days Jesus taketh Peter, James, and John his brother, and bringeth them up into an high mountain apart, And was transfigured before them: and his face did shine as the sun, and his raiment was white as the light. 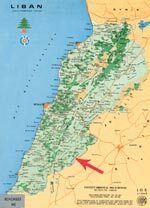 In the period Jesus spent in Caesarea Philippi, the Jabal Al Sheikh mountain (2814 meters high) in the south east of Lebanon known in the Bible as Mount Hermon attracted his attention. Later Jesus took Peter, James and John and went up the mountain where they reached a high altitude and Jesus started to pray. 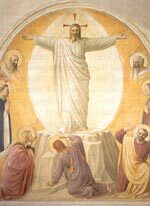 As he was praying, Jesus was transfigured before them and his face was shining like the sun and his clothes became as white as snow. Then appeared Moses and Elijah who were talking to him. Peter was dazzled with the scene and told Jesus: “Lord it is good for us to be here.” Then while he spoke, a bright cloud overshadowed them and a voice came from the cloud saying: “ This is my beloved Son, in whom I am well pleased, hear ye him.” When the disciples heard the voice, they were afraid and fell on their faces. Jesus came to them and asked them not to be afraid and to rise. When they lifted their eyes, they saw no body except Jesus.